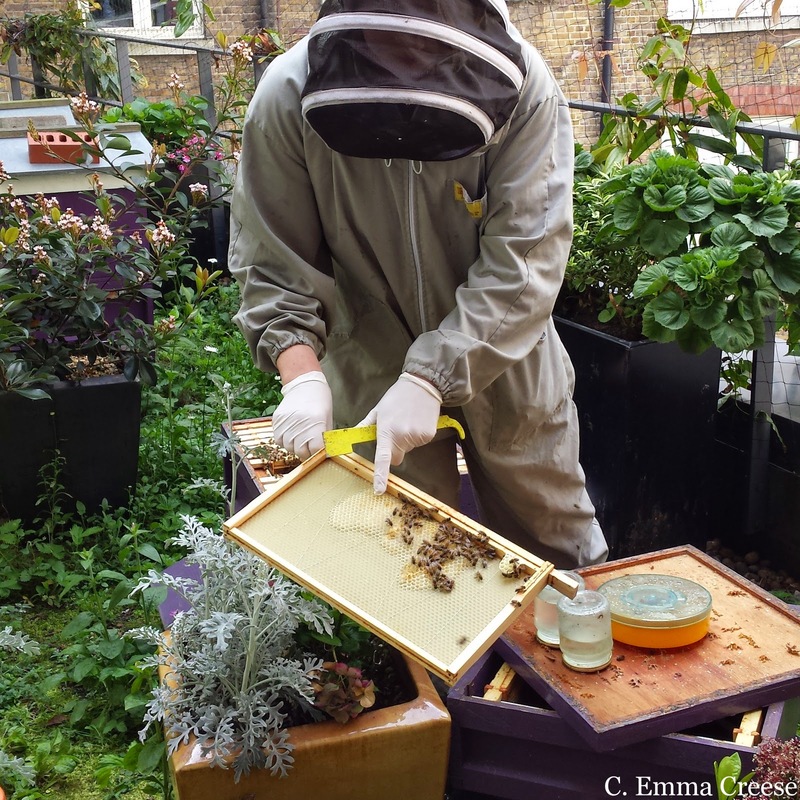 So with this in mind, Kara and I found ourselves one Saturday dressed in hooded beekeepers outfit in the corridors of a luxury Westminster hotel. My friends weren’t even suprised. Much. Disclaimer: We were invited guests of St Ermin’s but my (very many) opinions are only ever my own, and I would never recommend anywhere that I wouldn’t happily visit. At the risk of sounding even more of a dork than I already do, as a kid I was a curious George (I suspect this isn’t really news to many, if any people…) and asking endless questions about nearly everything was quite common place. So normal that our parents bought me and my siblings a 50-book leather bound encyclopaedia set (it was pre-wikipedia) and would set me study projects over the school holidays to get a little peace. One of these ‘projects’ I chose to do a little research on was bees (my favourite one was about big cats, leading me to learn about Tions and Ligers – the results of cross-breeding Lions and Tigers) as they seemed like the most fascinating of insects. 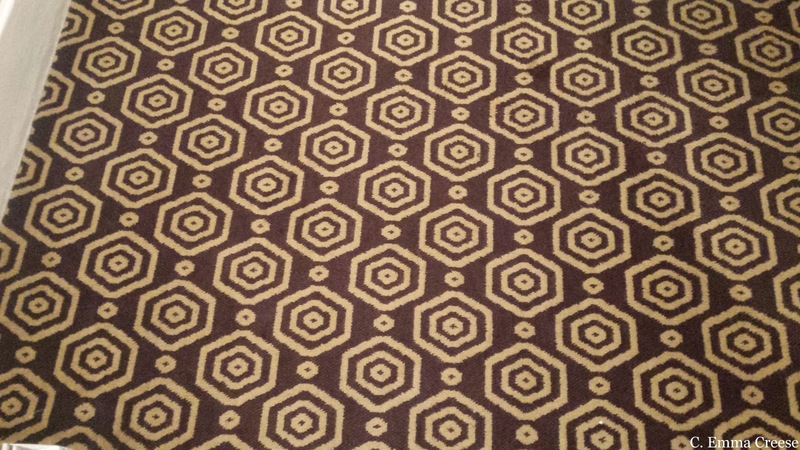 What does this have to do with present day life? 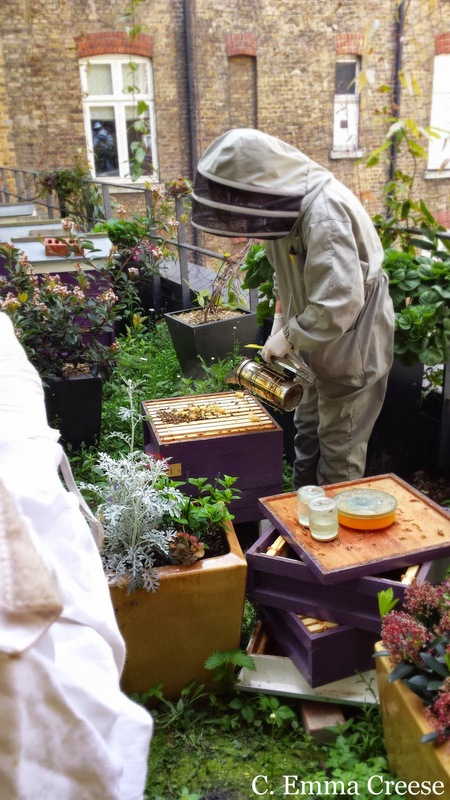 Well, it turns out that in amongst the grey concrete skyscrapers of London, many thousands of beehives are hidden in urban nooks and crannies – seen as a method of scoring building sustainablity points whilst providing a unique gourmet ingredient to chefs and bartenders. The bees fly up to 5 miles away from their hives to collect nectar (using local landmarks for navigation) and pollen before returning to carefully looked after hives. 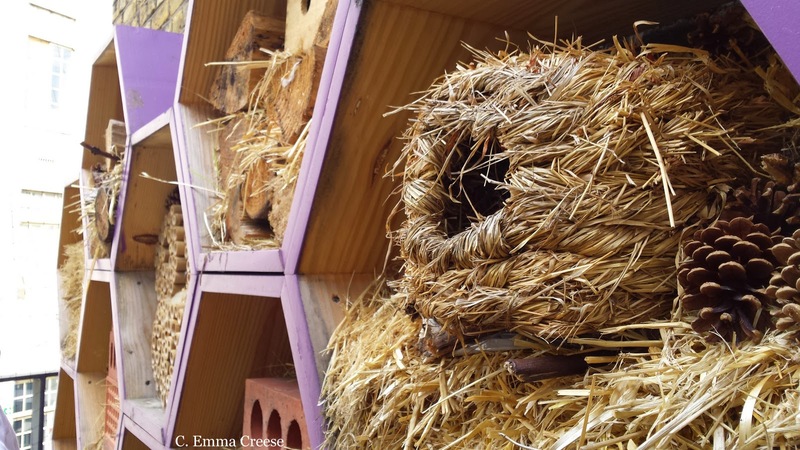 The beekeeping course we attended is an introductory course to owning a hive; a fascinating look at the practicalities of keeping the almost endangered workers of the natural world. 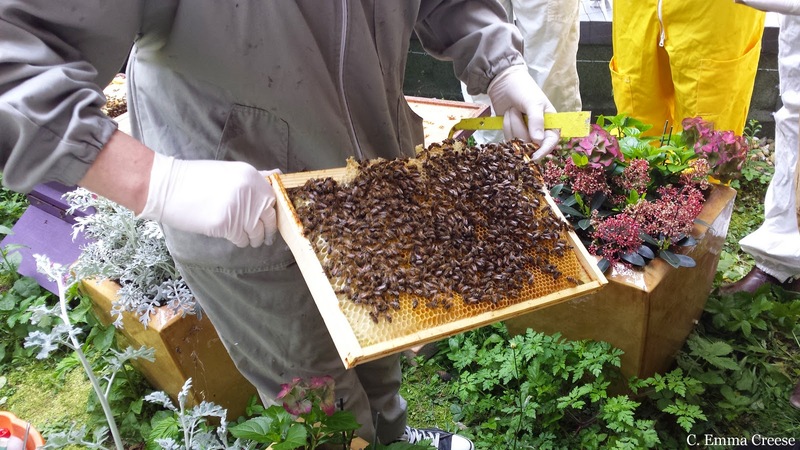 St Ermin’s Hotel hosts around 30,000 bee guests in several custom made beehives on a small tucked away terrace. 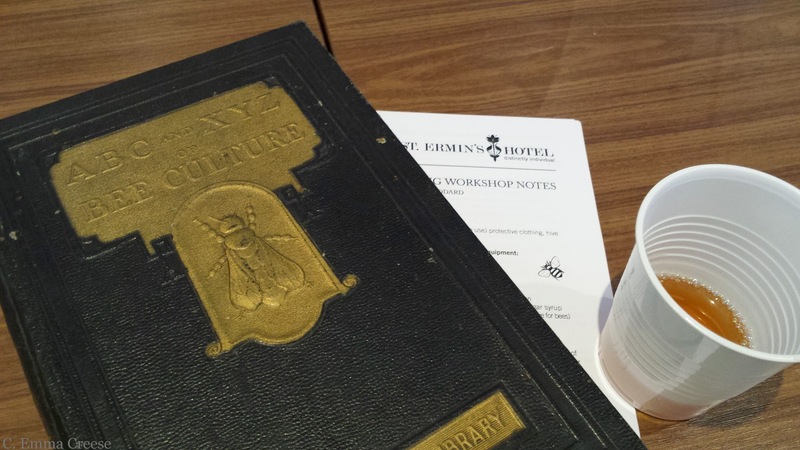 We began the course sat around a long conference table with St Ermin’s beekeeper extraordinaire Camilla Goddard who taught us the basic theory of honey production before tasting a variety of international honeys. 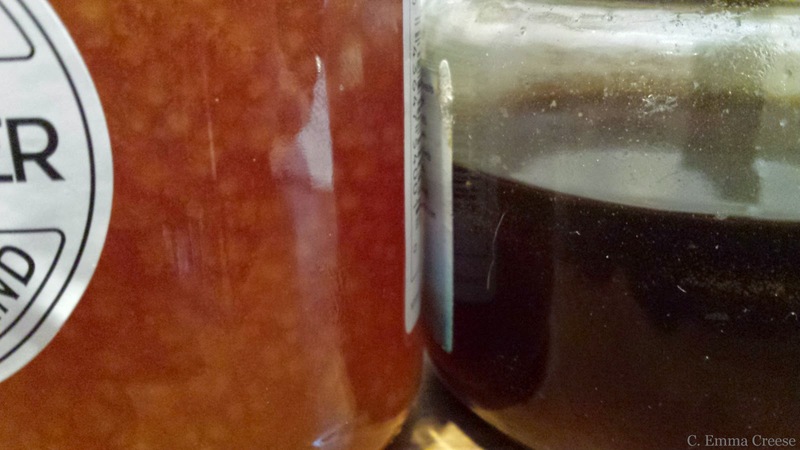 We were really surprised to learn how the pollen collected affects the taste, texture and colour of honey (and were pleased to get an honourable mention for New Zealand Manuka Honey) – most London bees thrive on the Lime trees that dot our streets and the many blooms of parks and gardens nearby. 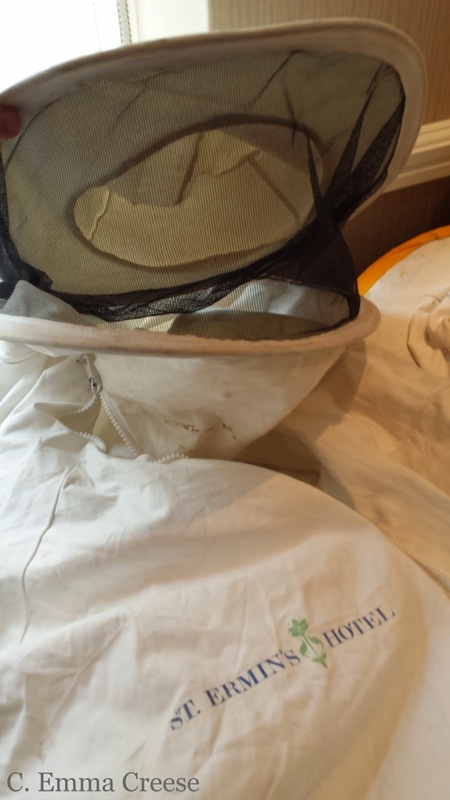 We were then invited to don beekeepers outfits for a fascinating taste of the practical aspects of apiary life. 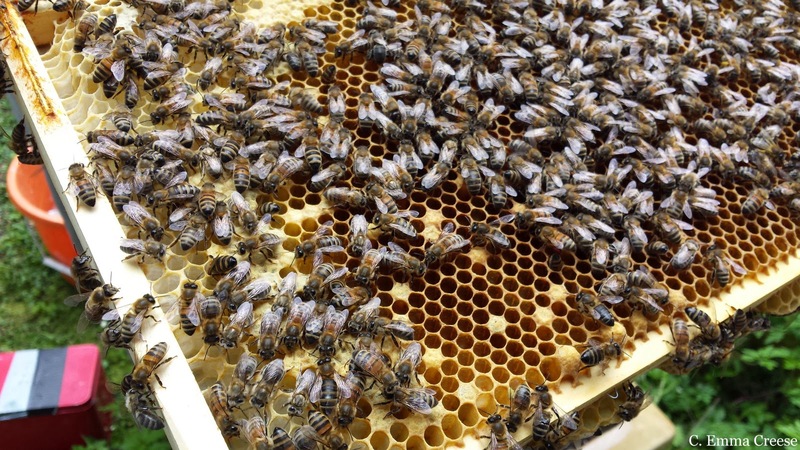 Hives consist of 3 or so types of honey bees; a single Queen, female worker bees and male drones; all with very specific jobs. I loved the personality that bees collectively have, they have different kinds of dancing to tell other bees directions to flower finds and the tone of the buzzing can tell experienced beekeepers the mood of a hive. 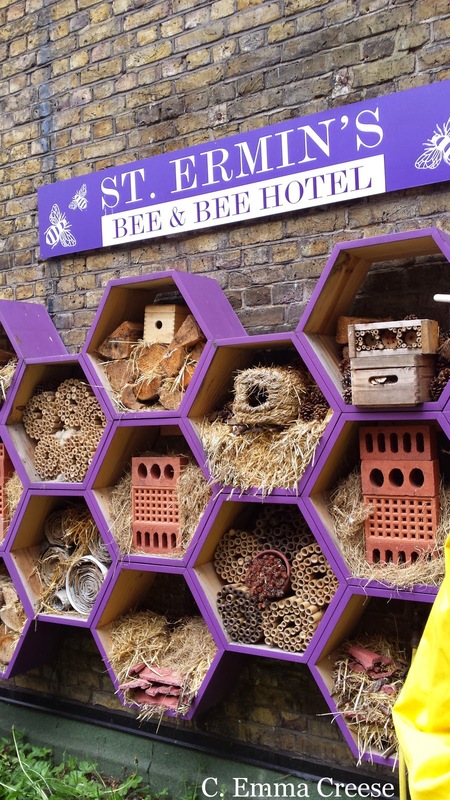 St Ermin’s take the comfort of their smallest guests very seriously – the ‘bee hotel’ even has a wall of smaller nests for rogue loner bees who live away from the larger colonies and a variety of local insects. It was simply too cute. Probably the most fascinating aspect of the day was when Camilla used a dusting of icing sugar on the bees to promote social grooming – the best way to get rid of the invasive Verroa Mite, a scourge of the bee world. Sadly I don’t think a beehive will be featuring in my unkempt garden in the near future (an allergy to beestings puts paid to the idea) but I’m fairly sure that I’ll never stop wanting to learn about London quirks such as these. 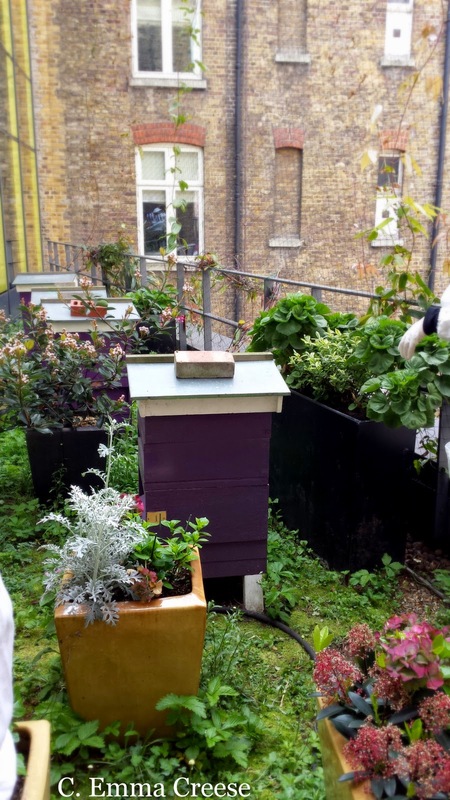 There are a couple of ways we can all help conserve bee populations – buying locally produced honey from beekeepers, and planting our gardens and window boxes with bee favourite sedums, verbenas, crocus, rudbeckia, and foxgloves. 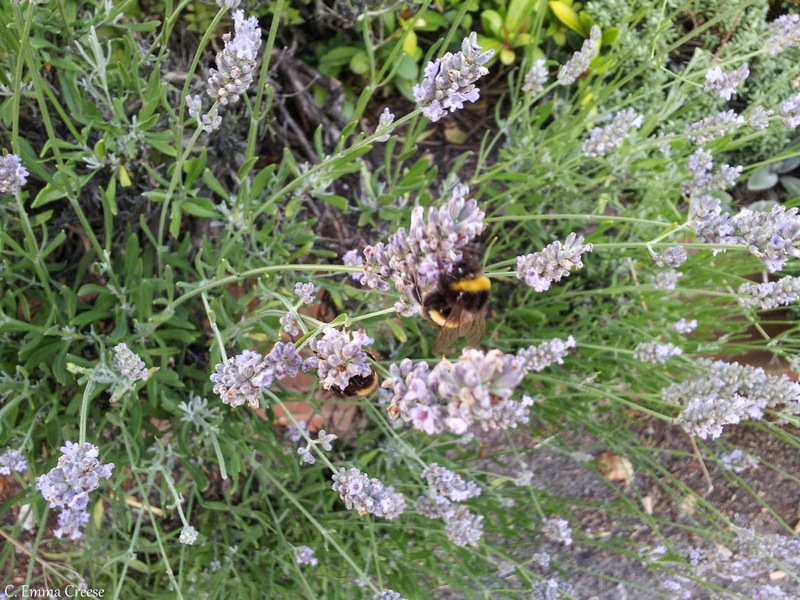 They also love bergamont, thyme, sage, honeywort and rosemary but struggle against some pesticides.